Specialized accessories can make your grilling experience easier and more enjoyable. There are many accessories you can find and acquire for your portable grilling rig which can be had via recycling thus it can be free or cheap and environmentally responsible. This website may be the first of it's kind to display an inventory catalog of accessories that can be acquired freely through crafty and resourceful means. I am always on the look out for a new hobogrill grilling accessory. If a potentially useful small grilling utensil, or dining accessory might fit inside an altoids sized survival tin (such that is attached directly to the Hobogrill HG2-Deluxe) you will learn about here in the Accessories section. 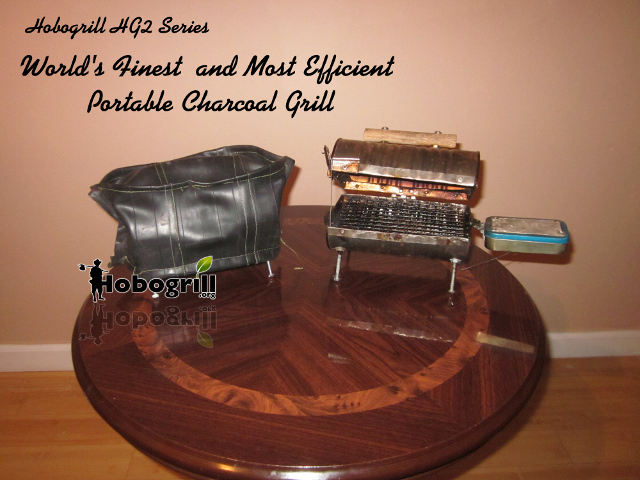 As well as the other accessories that I design and make for the hobogrill such as charcoal bags, carrying straps, bags, and lighter tin modifications.